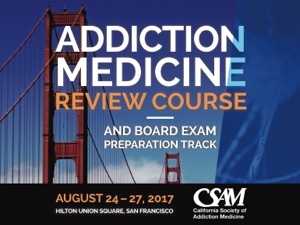 The Board Exam Preparation Track is designed for those taking the Addiction Medicine Board Exam from the American Board of Preventive Medicine. It consists of 7 hours of presentations outlining key material and board-style questions on topics covered on the exam, test taking and study tips. The material is ordered by topic and all questions feature references and explanatory notes. Those planning on taking the Addiction Medicine Board Exam. Physicians and other clinicians who wish to conduct a self assessment of their knowlegde of addiction medicine in order to identify areas for further study. Learner should be able to identify areas in need of further study to achieve a comprehensive understanding of substance us disorders and their treatemnt. Learn basic principles relating to the the treatment of substance use disorders and their treatment and apply those principles in clinical practice. Director of Outpatient Mental Health and Addiction Medicine; Assistant Clinical Professor in Psychiatry at the UCSF Medical School. Clinical Assistant Professor, Stanford University School of Medicine (Department of Psychiatry and Behavioral Sciences and the Division of Primary Care and Population Health). Psychiatrist, San Mateo County Interface Team, Adjunct Clinical Assistant Professor at Stanford University Department of Psychiatry and Behavioral Sciences. Assistant Chief, Chemical Dependency Recovery Program, Kaiser Permanente, San Francisco; Assistant Clinical Professor of Addiction Psychiatry, UCSF, Faculty for the UCSF Addiction Psychiatry Fellowship Program. Addiction Psychiatrist; CEO of Matrix Institute on Addictions, Santa Monica. Director of Dual Diagnosis Treatment Program, Harbor/UCLA Medical CenteClinical Professor of Psychiatry, UCLA School of Medicine, Los Angeles. CSAM designates this live educational activity for a maximum of 7.0 AMA PRA Category 1 Credit™ Physicians should only claim credit commensurate with the extent of their participation in the activity. This credit may also be applied to the CMA Certification in Continuing Medical Education.